I have this idea for a series that are, in my mind anyway, reminiscent of Edward Gorey’s style, if not his content. I could never in a million years come close to his content with its mix of bygone gentility and macabre dread. Sendak sometimes comes close. But on the other hand, Gorey’s drawings are flat and, despite my best efforts, my Art Students League training, requires that I create volume and use light to move the eye down the page. The attached bird is a good example. Its innocent gaze, I hope, hides a vicious cunning and appetite for raw flesh. Standing at eight feet, it may be something not to think about patting. 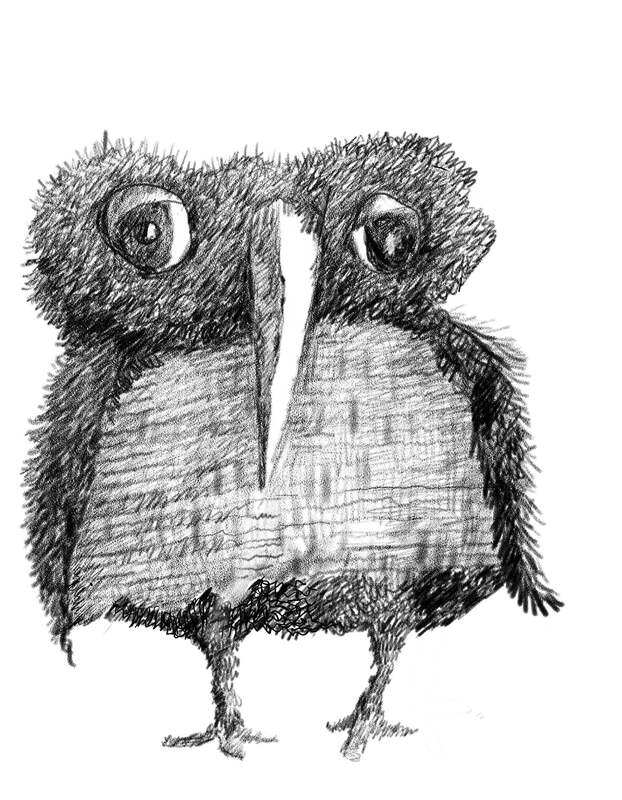 This entry was posted in Uncategorized and tagged bird, drawing, Edward Gorey, fantasy, figurative, monster, Sendak, wings. Bookmark the permalink.